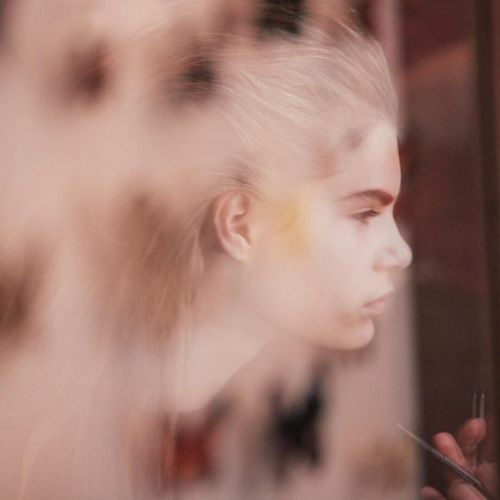 "A reflection of a #model having her makeup done backstage at @maiyet on Monday. @rebeccasmeyne, one of the photographers covering New York #fashionweek for @nytimesfashion, captured the scene before the show. Follow @nytimesfashion for updates from #NYFW." By nytimes on Instagram.